Home \ What is Hand, Foot and Mouth Disease? Hand, foot and mouth disease is a contagious viral infection caused by intestinal viruses of the piconaviridae family – common strains are coxsackie A virus and enterovirus 71 (EV-71). 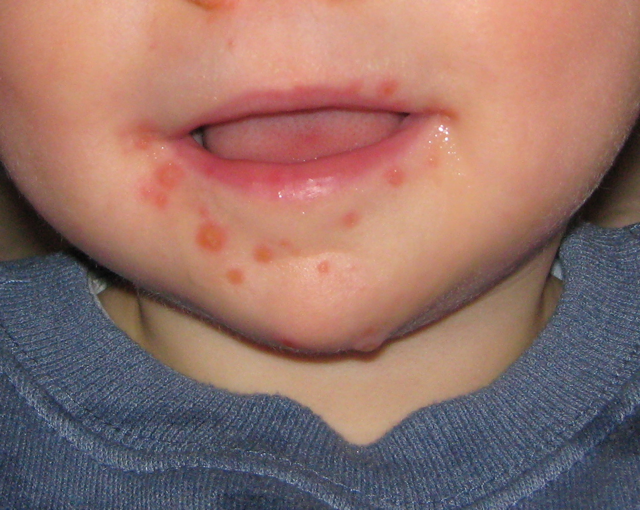 Hand, foot and mouth disease of HFMD are very very common to infants and children. Some adults with deficient immune system gets infected as well. At first your child may feel tired, get a sore throat or have a fever. Sores or blisters may start to appear in or on the mouth, hands and soles (sometimes even at the buttocks), after a day or two. Skin rashes may appear before the blisters. Common incubation period is three to seven days. There are no known specific treatments for HFMD. Treatments can only be for the fever and pain that are associated to the disease – like pain-relievers and fever reducer (ibuprofen and paracetamol). Enough drinking water will also help to prevent dehydration (loss of body fluids). Immunization is also not available for HFMD. Hygiene and sanitation practices are the best means to prevent hands, foot and mouth disease. Always clean your hands. Practice proper hand washing. Use alcohol or alcohol-based hand sanitizers with at least 60 percent alcohol content to kill germs and viruses on hands. Avoid close contact (like kissing and hugging) with people infected of the disease. Clean hands after activities like: going to the comfort room, using of computer keyboard, before and after food preparation, after diaper change, etc. Sanitize surfaces and shared objects, like toys, remote control, mobile phones, etc.